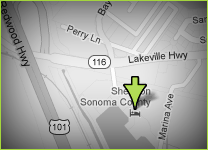 Welcome to the Law Office of Andrew Kern serving the counties of Sonoma, Marin, Napa, San Francisco, and Contra Costa. 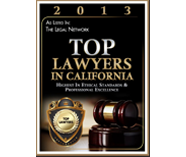 This page gives you an overview of the services provided by the Law Office of Andrew Kern. At my law office I focus on each individual client’s needs and issues. I understand that when people retain an attorney they want to either solve a problem and/or need to put their affairs in order in the most effective possible way. I will respond to your calls promptly and answer your questions so that you feel comfortable working with me. Estate Planning, Bankruptcy, IRS and FTB tax debt resolution, and Worker’s Compensation are the areas in which I practice law. I also prepare personal income taxes at very reasonable rates so contact me to prepare your taxes. Separate pages of this website will provide you with information on these different areas of law. Please go to the top of this web page for prompts that you can click on to get more information for these different areas of law. People are usually concerned with how much my services will cost them so in most, if not all, cases I am able to provide a flat fee rate once I’ve had the opportunity to speak with you about your case. This way you will know how much the service will cost and you don’t have to worry about your legal fees spiraling out of your budget. This gives peace of mind to my clients. I graduated from an Ivy League school and have over 30 years of legal experience with superb ratings on sites such as Yelp. Besides wanting the best outcome for my clients, I cannot afford to provide less than stellar service in this new world of social media where clients can post their opinions of my services on different social media sites. You can be sure that if you hire me I will give you my best.